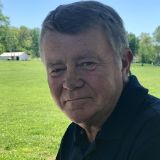 Mark Hill, 59, of Camden Point, MO passed away, March 15, 2019. He was born on January 5, 1960 to William F. and Shirley A. (Courtney) Hill in St. Joseph, MO. Mark grew up in Camden Point and graduated from North Platte High School in 1978. On February 10, 1990 he was united in marriage to Cindy Matthews. After their marriage they lived in Platte County where they made their home. Mark loved to travel and was a huge history and genealogy buff . He enjoyed cruising in Miss Daisey his 71 Camero and took pride in his community. Mark was preceded in death by his father. He is survived by his wife Cindy, of the home; children, Jarod (Natalie), Cody (Jenn), Jason (Missy), Jaiden, Noah Grace, and Parker; grandchildren, Macy, Sophia, Callie, Harper, Liam and Blaze; mother, Shirley; brother, Jeff (Cathy); father-in-law and mother-in-law, Bill and Linda; brother-in-law, Chris (Kris); nephews, Evan, Levi, and Zach; niece, Brooke; other relatives and many friends. The family is requesting privacy at this time. In lieu of flowers, donations may be made to the Camden Point Fire Dept. Donations may be mailed to Hixson-Klein Funeral Home, PO Box 167, Gower, MO 64454.